A modern take on a centuries old religious tradition. For many years the Jewish Passover holiday has been celebrated with a Seder. 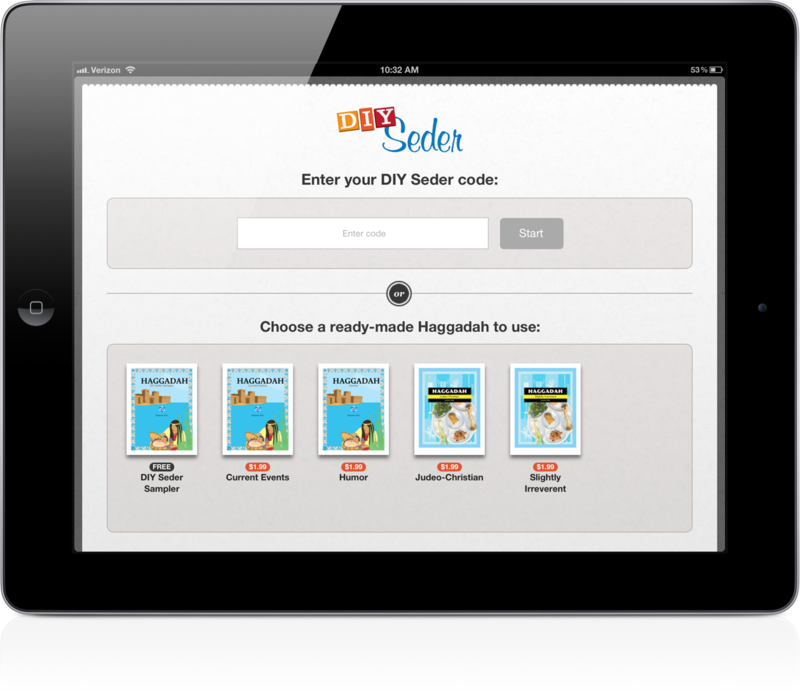 DIY Seder is an iPad application to bring a fresh take on a 2000+ year old tradition. The application helps users organize their family’s Passover celebration with enlightening readings and fun activities. Fast PDF viewing powered by the SBDocs document reader library. Allows users to enter sharing codes to asynchronously download their own personalized content from the cloud. In-App Purchase of premium content. Social Networking allows users to share their experiences via Facebook, Twitter, and email. Provides the user with a checklist of supplies needed for their celebration. Displays informative popup messages when the user has reached predetermined points in a document. Design – in addition to coding the iPad application, Enharmonic provided custom design services to craft a unique user experience. Cloud Service Integration – in collaboration with the client’s server development team, Enharmonic worked on the server api for distributing user content. The iPad application asynchronously downloads large multimedia packages, and caches the content to disk for offline viewing.